On Wednesday, June 7, 2017, a round-table discussion entitled “For the recognition of the Right to Know” took place in Paris at the Senate of the French Republic. The event was organized by Senator André Gattolin in collaboration with the Global Committee for the Rule of Law “Marco Pannella”. Representatives of the political sphere and representatives of oppressed peoples from different regions and backgrounds have dwelled upon misfact and abuses, such as the invasion of Iraq, in order to contribute to deepen the importance of the application of the right to know and the benefits that each of the realities would subsequently draw from its correct enforcement. 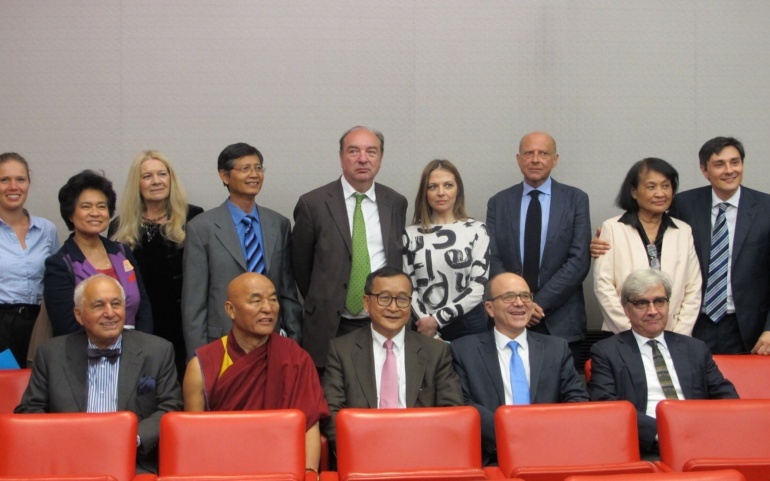 Particularly relevant were the interventions by Norman Baker, former MP and former Home Minister of the United Kingdom, who covered both the anti-democratic circumstances in which the Iraq attack was decided in 2003 and the unprecedented work carried out by the Chilcot Inquiry, and by the Venerable Thubthen Wangchen, a monk and member of the Tibetan parliament-in-exile, who stressed that knowledge is an element that His Holiness the Dalai Lama and Tibetan culture constantly uphold and promote. The conversation therefore strengthened the transnational path of the campaign for the transition towards the rule of law by finding new allies and supporters. We are delighted indeed to be able to add UNPO (Unrepresented Nations and Peoples Organization) to the coalition leading the initiative. Thanks to this French step, the action at the United Nations will be resumed with greater strength. During the meeting, former MEP Daniel Cohn-Bendit took the floor to pay tribute to Marco Pannella and his long commitment at the European level and beyond. Lord Taverne: referendums vs parliamentary democracy?